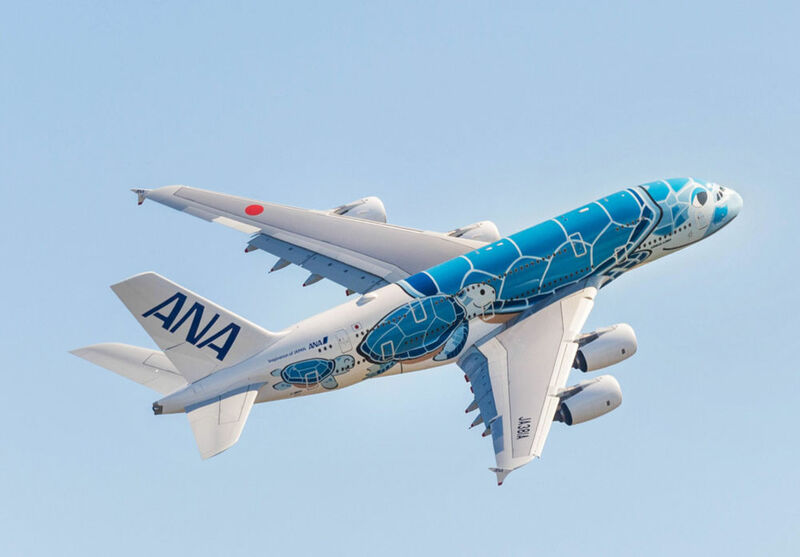 All Nippon Airways (ANA) yesterday has received the first of its three Airbus A380 aircraft in Toulouse, France. ANA’s new Airbus A380 will enter service on May 24th, traveling between Narita and Honolulu, Hawaii. The airplane is designed to provide maximum comfort to up to 520 passengers on this popular route with its premium layout seating. The upper deck is home to eight First Class suites, 56 Business Class seats that convert to fully flat beds and 73 Premium Economy seats. The main deck will have 383 Economy Class seats, including 60 couch seats. This makes ANA the first in Japan to introduce a couch seat concept. Each couch is comprised of three or four seats and passengers are able to lie on the seats by folding up the leg rests. In addition to expanded passenger space, the aircraft offers heightened internet options as well as other advanced in-flight entertainment features.